If you want to get the best out of social media networks, you need to listen to your audience. However, listening to a huge audience will not be an easy task and you will need to seek the assistance of a reliable social media monitoring tool. That’s where Mention comes into play. Mention can simply be defined as a popular social media analysis tool among modern world social media enthusiasts. It has the potential to monitor over 100 social media networks and make the life easy for you. Mention is extremely popular among other social media tools available in the market as its measures have the ability to influence reach, passion, sentiment and strength. 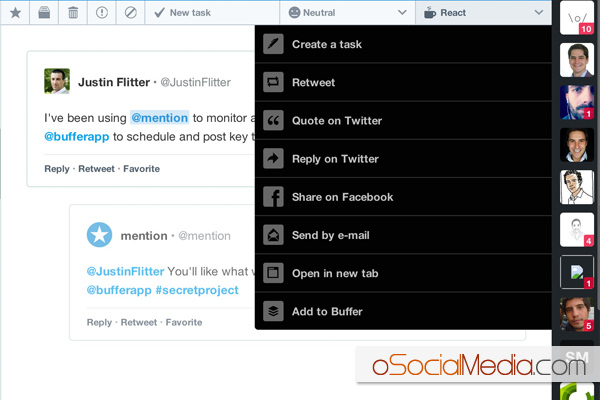 How can you use Mention for your social media monitoring activities? Any business owner can easily set up Mention and engage with social media monitoring activities with a hassle free mind. It comes along with a user friendly interface and you don’t need to possess any special skills to operate. In addition, you can find a wide range of customization options that will help you to dial in exactly what you want to see. The service is offered in 42 different languages and it has increase the popularity of this tool among people who live in every corner of the world. Mention works with almost all the major social media networks that you can see on the Internet. In fact, it will not let you miss anything that is posted on websites, blogs, forums, news sites or social media networks. 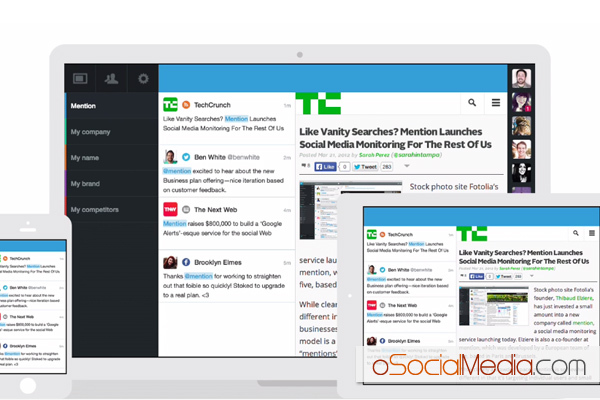 Mention delivers instant alerts to you from different social media networks in real time. For example, one of your potential customers would inquire something via a tweet or through a Facebook message. If you can respond to those inquiries within few seconds, you have a higher chance of generating leads. Therefore, subscribing to Mention can be considered as an excellent investment done towards the future of your business. You can export your analytics from Mention to extract detailed information and monitor the progress of your social media marketing efforts. These analytics can be exported to different file formats including PDF, CSV, TSV and XLS. Mention will give you the opportunity to create your own team and assign tasks and share alerts in between fellow members. If you have a larger audience on your social media networks, this option will help you to track everyone’s actions and respond to the concerns accordingly. You can easily access it from your PC, tablet or smartphone. This will give you the opportunity to monitor social media activities on the go and respond to your audience at a lightning fast speed.